Jeff Wilson started his walk on the Buddha's path as a Zen practitioner - taking up a tradition of vigorous self-effort, intensive meditation, and meticulous attention to rectitude in every action. But in Jeff's case, rather than freeing him from his suffering, he found those Zen practices made him nothing short of insufferable. And so he turned to Shin Buddhism - a path that is easily the most popular in Zen's native land of Japan but is largely unknown in the West. Shin emphasizes an "entrusting heart," a heart that is able to receive with gratitude every moment of our mistake-filled and busy lives. Moreover, through walking the Shin path, Jeff comes see that each of us (himself especially included) are truly "foolish beings," people so filled with endlessly arising "blind passions" and ingrained habits that we so easily cause harm even with our best intentions. And even so, Shin holds out the tantalizing possibility that, by truly entrusting our foolish selves to the compassionate universe, we can learn to see how this foolish life, just as it is, is nonetheless also a life of grace. Buddhism of the Heart is a wide-ranging book of essays and open-hearted stories, reflections that run the gamut from intensely personal to broadly philosophical, introducing the reader to a remarkable religious tradition of compassionate acceptance. A native of North Carolina who grew up in New England, Jeff Wilson is an assistant professor of religious studies and East Asian studies at Renison University College in Canada. He is the author of The Buddhist Guide to NewYork, Mourning the Unborn Dead: A Buddhist Ritual Comes to America, and Dixie Dharma and is a contributing editor for the Buddhist magazine Tricycle. "Shin, a heart-based Buddhism, is geared toward laypeople, so it is only fitting that Wilson's book is user-friendly, with a helpful glossary of terms and suggestions for further reading at the back, plus a liberal sprinkling of humor throughout." "A much needed introduction to a tradition little understood in the West. Jeff Wilson's illuminating account of his practice as a Shin Buddhist describes a path founded on humility, trust, and wonder, a way of life that celebrates a wise acceptance of human imperfection rather than a longing to overcome it." "Full of warmth, humor, and excellent storytelling." 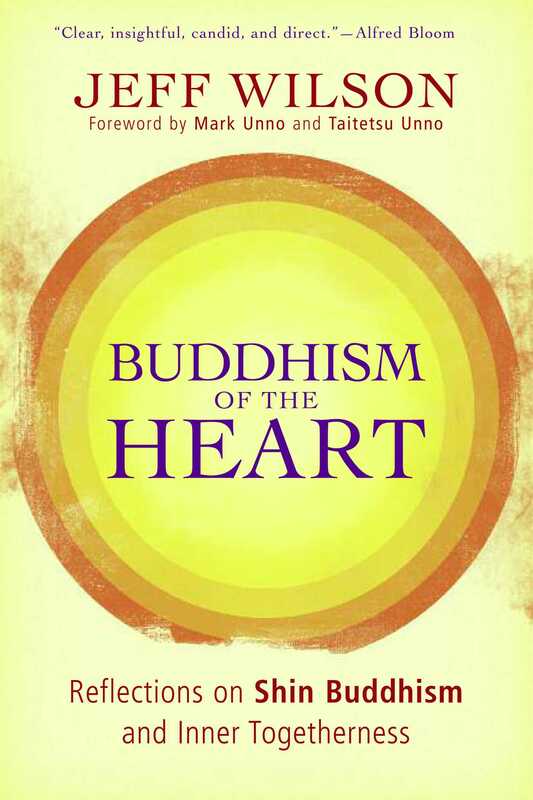 "Buddhism of the Heart is a clear, insightful discussion of basic teachings of Shin Buddhism. The author, writing from the heart, is candid and direct. It is an easy reading text for seekers." "Arranged in brief meditations anchored in Jeff's own life, this book's approach is personal, intimate, and always inviting. I recommend this book to anyone seeking to live more authentically, more deeply."